Eleven Montana heroines are portrayed in Judy’s biography, including Lewistown native and librarian extraordinaire Alma Smith Jacobs. Jacobs was born and raised in Central Montana and excelled to be an innovative and admired librarian. “Bold Women in Montana History” is Series 6 of Mountain Press’ state-by-state young readers novel and was ranked #1 on Amazon’s New Releases for Western Biographies on April 6. 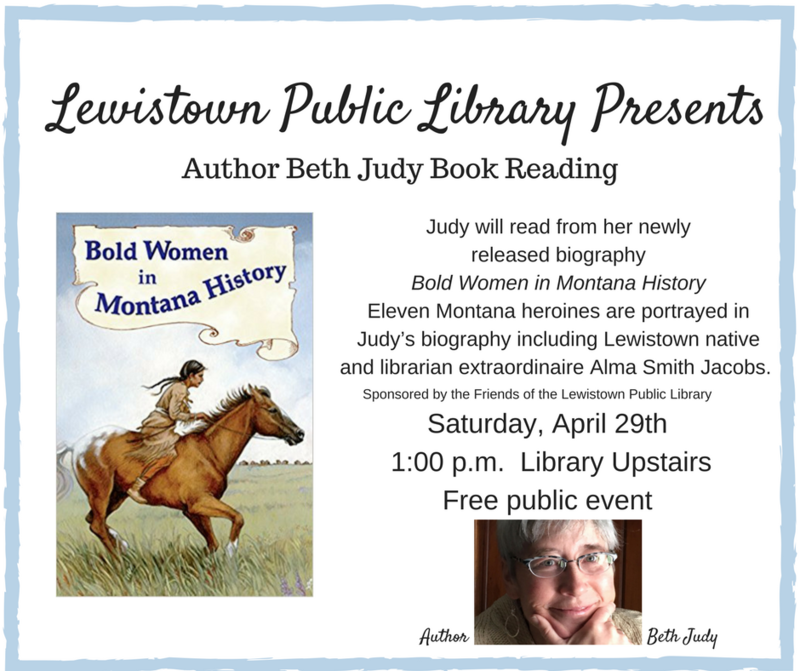 Join “Bold Women in Montana History” author Beth Judy on Saturday, April 29 at the Lewistown Public Library at 1:00 p.m. This special event is free of charge and is sponsored by the Friends of the Lewistown Public Library and the Lewistown Public Library.